I have been anxiously waiting to receive my package from GingerSnapCrate. A couple of weeks ago, I sent them some pictures and was told they were going to turn them into some awesome products. I had looked at the website but still didn't know what was going to come in my box. Boy, was I excited to open this one. Well, actually Aiden ripped into the box when I told him it was going to have some things with his pictures on it. He isn't patient when it comes to opening a package! We sat down together and looked through all the wonderful things in the package. We found personalized thank you cards, a calendar, a notepad, a reusable bag, some picture prints, a cool puzzle, a chalkboard and a cute little daisy to plant. I was blown away by what I received because I was not expecting so many awesome items with my sweet boys picture on!! I am already using the notebook and I absolutely love the bag!! It was a picture from our trip to Disney of Aiden and Pluto. The print on the bag says "I love you to Pluto and back!" How sweet is that!! Aiden just happened to have received a very nice Easter surprise from his grandparents and he was very excited to write them a thank you note on his personalized thank you cards. 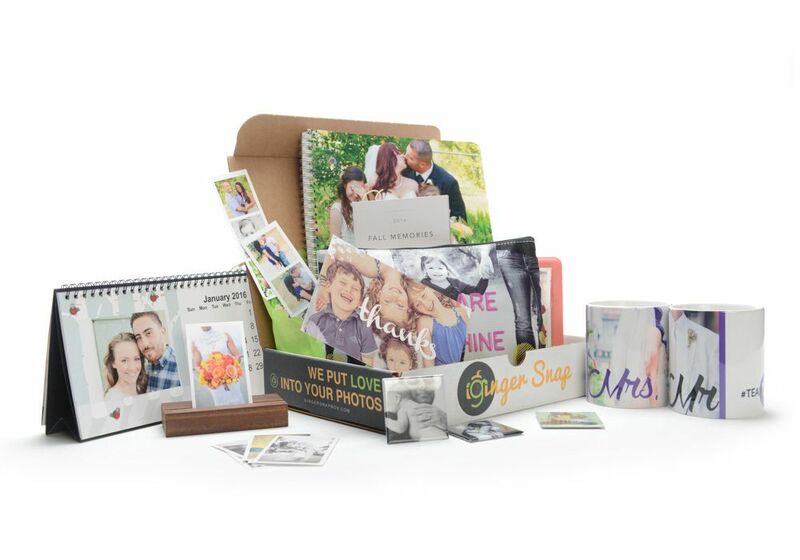 GingerSnapCrate offers a monthly subscription box with 3 different options. They also offer free shipping. 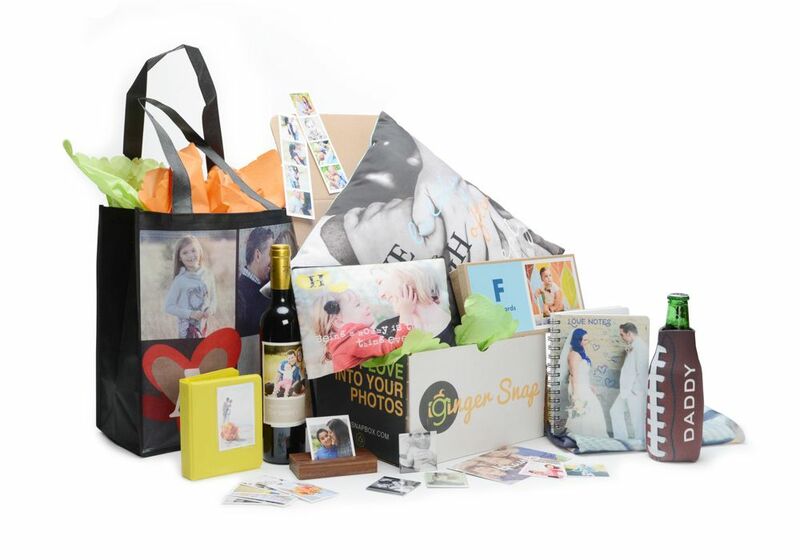 They can turn your pictures into fun keepsakes that you will keep forever. A subscription to GingerSnapCrate would also make a great gift idea for those special people in your life!! 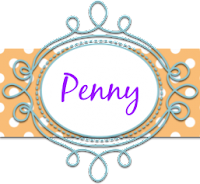 I'm so excited to find some special pictures and turn them into some awesome gifts and keepsakes!! Aiden ripped right into this box. I thought it was a cute box! The front of the notebook. The back of the notebook. Thank you cards with envelopes. I love that the bag was personalized to match the picture. We planted this and can't wait to have a daisy! We take your photos to a whole new level. Like actually put them in your life. Time is scarce and memories are what really make you happy. Welcome to the only membership that brings you photo gifts monthly. Be proud of your photos and get excited to see what we do with your pictures. Time is something we have little of these days and pictures are something we have too much of!! It's not so much about what we do as it is how we do it. We know how important your images are to you and ever since photography became digital we have been overwhelmed with images, file upload times, what printing site should you use? Low resolution and high resolution. Do you even know the difference at this point? Do you even care? No!!! you want it printed and you want it done right. Until now all that pressure has been on you to do all the hard work and now it's over. Being a member at GingerSnapCrate means we do it for you!!! you don't have to sit for hours to look for 1 image that you want on your new favorite coffee mug and once you found it now you don't have to worry about waiting for it to upload to a website that might or might not give you the ability to lighten or darken or even crop it correctly. At last a group of super artistic, image loving people with massive photoshop skills are here to save you and take on the daunting task of putting your images in your life. They can live on your hard drive but let them breathe with you in your everyday life. 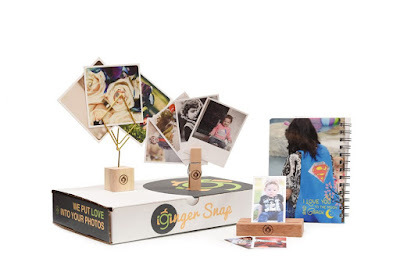 Every month you will scream with excitement when you see that box with a cute little camera on it on your door step because inside is pure happiness for you to use and share with your loved ones. In a world full of beauty products, razors and granola bars coming to you monthly. Now you really have something to get excited about. Head over to GingerSnapCrate to pick out the subscription box that fits your family. When placing your order, use the promo code MOMMY to receive a 20% discount on a 3 month membership! How awesome is that? You can also connect with GingerSnapCrate on Facebook, Twitter, Instagram, Pinterest and YouTube. 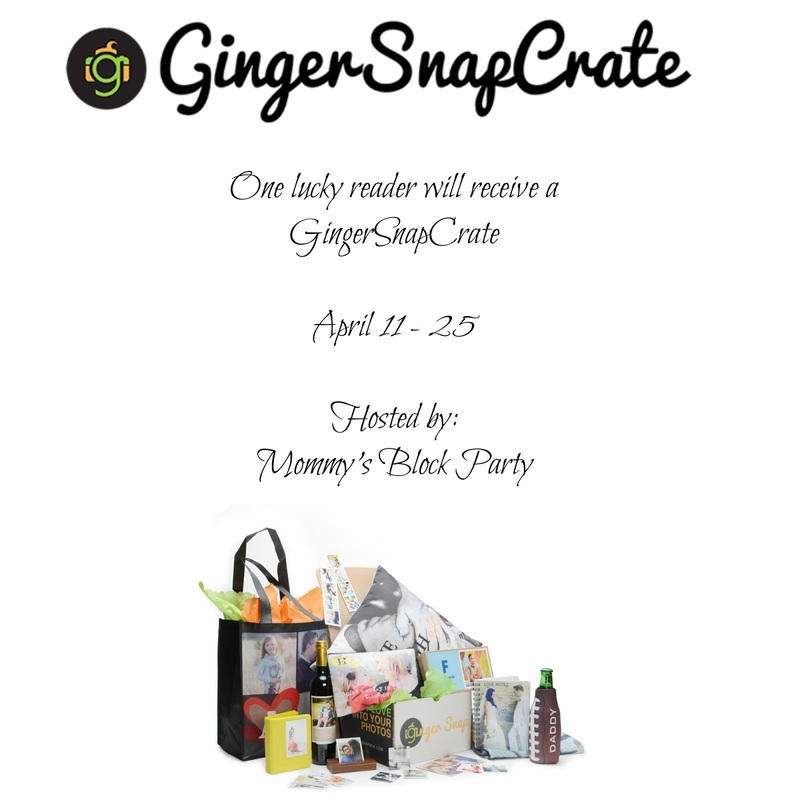 Special thanks to our friends at GingerSnapCrate for this awesome giveaway and discount opportunity! I'm so excited to use them for some upcoming gift giving. I think this would be great fun for my nephews & my Mom. They would love something like that puzzle or the daisy plant, & the notebooks, etc., look great for a Granny, lol. On instagram, I'm @tdp102. On Pinterest, tamraphe. (There was no place on the form to list it, so I'm putting it here, lol.) On stumbleUpon, tdp102. Twitter, @TamraPhe. Most other things, I just use my name. Love to win to make things for my daughter.